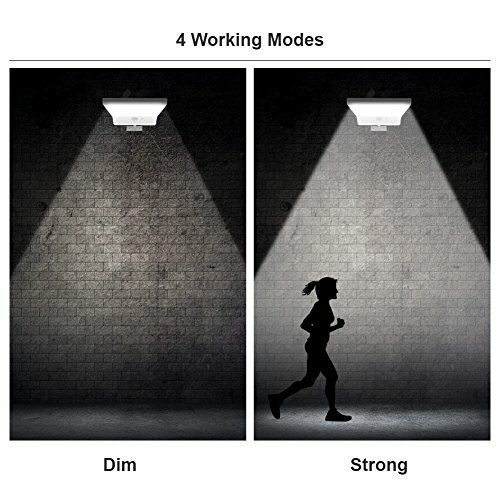 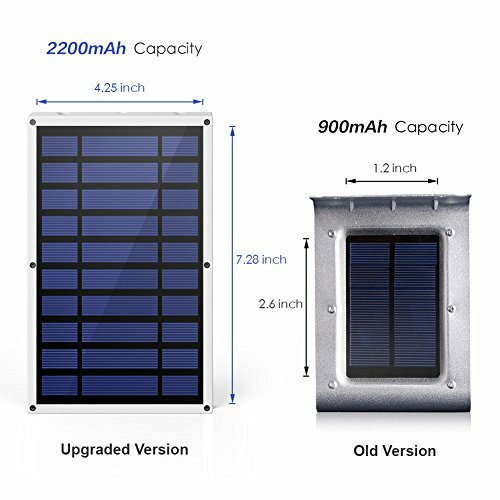 4 Working Modes: 1/4 Brightness Light, 1/2 Brightness Light, Dim Light+ Motion Sensor Full Brightness Light, Off + Motion Sensor Full Brightness Light Upated Solar Panel: Larger panel with 2600mAh Capacity, getting faster charging in less sunshine environment. 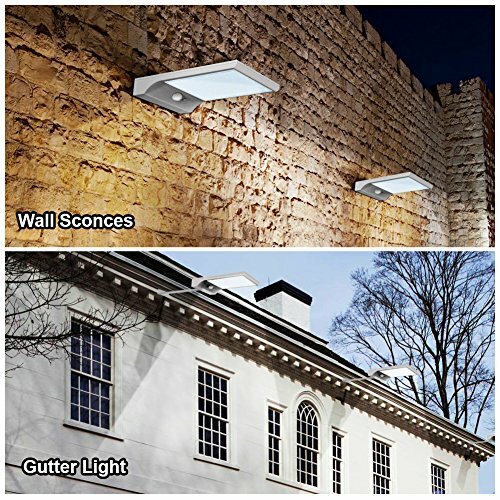 Waterproof & Heatproof: Two layers of tightly-sealed inner loop allows it to withstand rainy day. 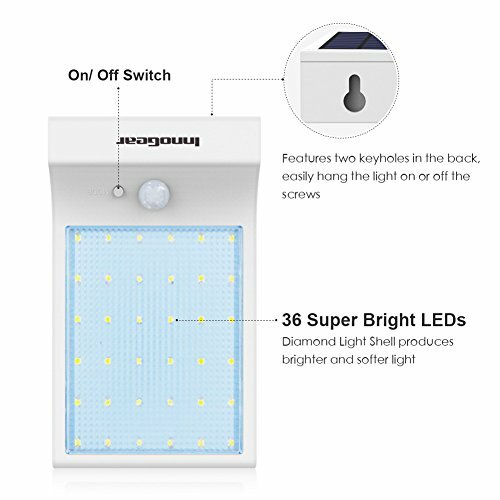 36 Super Bright LEDs: Produce over 450 lumens to provide lighting and security to your garage, pathway and more. 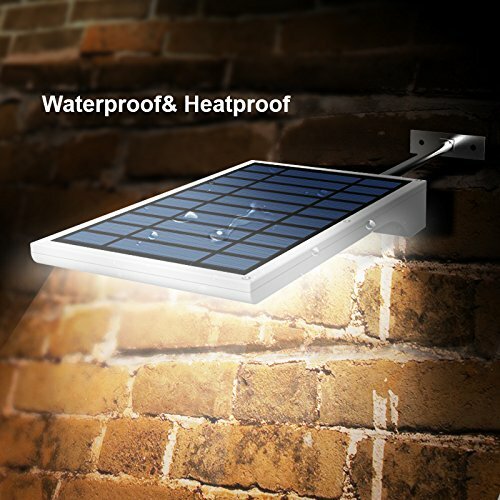 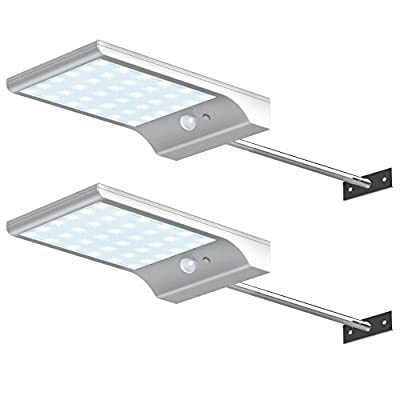 Aluminum Mounting Pole: Installs easily in seconds, extending solar light out away from the eave that cannot reach to direct sunshine.